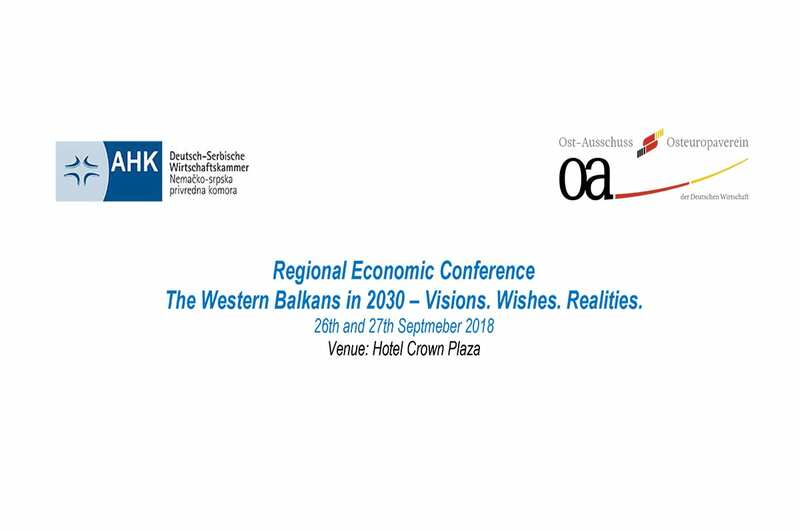 Together with the German Eastern Business Association (Ostausschuss – Osteuropaverein der Deutschen Wirtschaft), the German-Serbian Chamber of Commerce (AHK) is organizing a regional economic conference The Western Balkans in 2030 – Visions. Wishes. Realities. to be held on September 26-27 2018, in Belgrade’s Crown Plaza Hotel. The countries of the Western Balkans continue to be a very important region for the EU in economic and security terms. This was last underlined at the EU-Western Balkans Summit hosted by the Bulgarian Presidency of the European Council in Sofia on May 17th 2018, with restated emphasis on the accession prospects of the countries in the region. According to AHK, more intensive cooperation within the region and closer cooperation between the EU and the Western Balkans are urgently needed. Having such thoughts in mind, the conference will be embarking on a journey through time and will look at the countries of the Western Balkans from the year 2030: Have the hopes of a dynamically developing region been fulfilled? In one-hour discussion rounds different, even contradictory views of the economy, politics and civil society will be discussed. These include aspects such as economic development, external influence, connectivity, digitalization, the future of democracy or brain drain versus brain gain. The participants at the venue and on the Internet will have the possibility to take part in the discussion electronically as well. 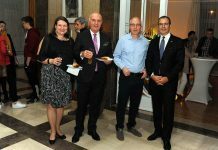 Our regional business conference will be closed with a celebration of the 15th anniversary of the Zoran Đinđić Scholarship Program of German Business for the countries of the Western Balkans. More than 700 young people from all countries in the region have had to date the opportunity to receive practical training in Germany. We are delighted that Prime Minister Mrs Ana Brnabić has agreed to open this ceremony together with Mrs Ružica Đinđić and Mr Michael Harms. Registration for the conference is possible at the following link: www.westbalkan2030.com. At this website, you can also find more details about the program, schedule and speakers at the conference. 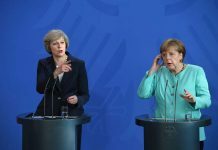 The conference language is English. If you can’t come to Belgrade, you can find a live stream link at https://www.westbalkan2030.com/live-stream. To get you interactively involved in the discussions of the conference please download the Sli.do App for your Android and/or IOS platform, or simply log in at www.sli.do. This way you will get the opportunity to pose questions and participate in themed polls during the event. The event code will be announced at the beginning of the conference.